Collin Wilde’s approach to problem-solving is best characterized by endurance, the power of which he learned as an ultramarathon runner. Knowing that he has the ability and discipline to endure enables him to push on — and bring his teams along with him — when others want to quit. He’s able to self-assess, gauging how much he has left in the tank, so to speak, and has the grit to see a project or objective through, no matter how long the road ahead. An intellectual risk taker, Collin thrives on tackling new challenges and exceeding expectations. Collin’s experience working in the healthcare and hospitality sectors cemented his ability to think creatively and unify teams towards a common goal. Past roles include project delivery at Crafting A Strategy and Audigy Group, where he developed strategies for private practice audiologists to enhance operations, build their businesses, and reduce risk. 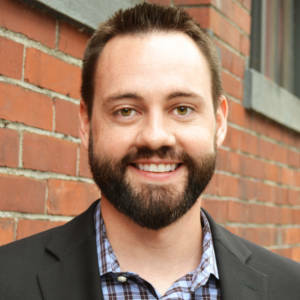 Collin holds an MBA from the University of Portland and a bachelor’s degree in business administration and political science from Western Michigan University.